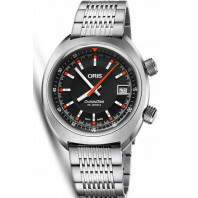 Oris Motor Sport Collection är en hyllning till alla hjältar inom motorsport och dess fantastiska tävlingar världen över. Klockorna har funktioner som tachymeter och certifierad kronometer. Oris returns to the Spanish island of Mallorca this year as the title sponsor of the Oris Rally Clásico. The independent Swiss watch company has been involved with the classic car rally since 2012. 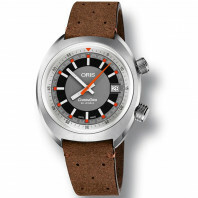 To celebrate this year’s event, Oris has created two limited-edition Oris Calobra watches, inspired by the dashboards of sports cars from the 1960s and 1970s that take part in the Rally.